Want to know how a mom of two grew her kids craft blog to a million page views? And supports her family completely with her blog? Just imagine how amazing it would be to do crafts with your kids, blog about it and be able to stay at home with your family. It was a joy to interview Maggy – she is filled with little golden nuggets of wisdom! Watch the video below and let me know what you think in the comments. Enjoy! You can order Maggy’s book by clicking the book below! If you’re motivated and excited to start your own blog after watching the video, here are important resources to help you. Let me know what you think about the interview below! Jennifer, so happy to hear that! Maggy is so so sweet!! 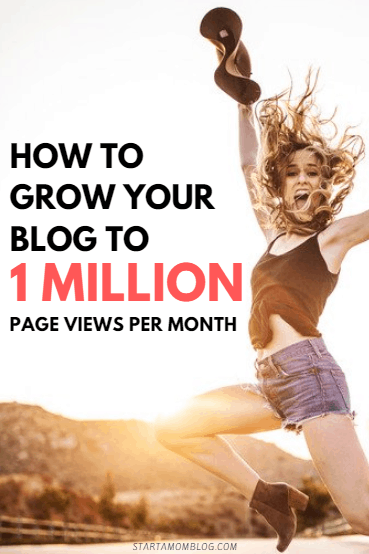 I have no doubt that you can hit the same pageviews! So happy you liked it, thank you Estie! Thank you! I gald you enjoyed our chat!! Thanks for the video, Suzi and Maggi. It gave me some great creative ideas to think about using. Wonderful! Good luck with your blog! Thanks for sharing, so many good tips from a pro like her and you!! Your the best! My pleasure! Thanks for tuning in! I love everything you teach. I procrastinate a little bit with my new website and blogging. My problem is that I need to incorporate WooCommerce into Divi, because this will be skincare retail blog. Yes, not mom’s blog- you just inspired me to do retail blog. I’m still looking for missing pieces “how to”. Maybe in future you will expand your Mom’s Blog to “any Blog”. Thank you for all knowledge!!! Good luck with your venture! It sounds great! Maggy is such a down to earth person. No airs and no ego. I am so grateful for all the insights she shared. I had trouble with the audio… Will have to read the transcript once you have that up.